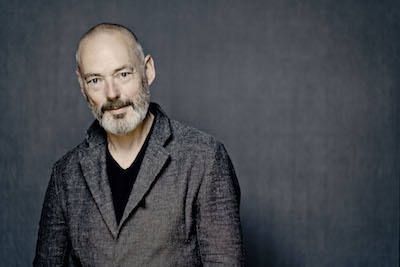 Mark Padmore was born in London. He studied at the Kent Junior Music School and played clarinet in the Kent Youth Orchestra. He was awarded a choral scholarship to King’s College, Cambridge and graduated with an honours degree in music in 1982. He has established an international career in opera, concert and recital. His appearances in Bach Passions have gained particular notice especially his acclaimed performances as Evangelist in the St Matthew and St John Passions with the Berlin Philharmonic Orchestra and Sir Simon Rattle, staged by Peter Sellars. In opera Mark has worked with directors Peter Brook, Katie Mitchell, Mark Morris and Deborah Warner. Recent work includes the leading roles in Harrison Birtwistle The Corridor and The Cure at the Aldeburgh Festival and Linbury Theatre, Covent Garden; Captain Vere in Britten Billy Budd and Evangelist in a staging of St Matthew Passion for Glyndebourne Festival Opera; Third Angel/John in George Benjamin Written on Skin with the Royal Opera, Covent Garden. Future projects include new works written for him by Tansy Davies and Thomas Larcher. In concert Mark performs with the world’s leading orchestras. in the 2016/17 season he was “Artist in Residence” with the Bavarian Radio Symphony Orchestra and will hold a similar position with the Berlin Philharmonic Orchestra for the 2017/18 Season. His work with the Orchestra of the Age of Enlightenment has involved projects exploring both Bach St John and St Matthew Passions. He also collaborates regularly with The Britten Sinfonia. His extensive discography include recent releases: Beethoven Missa Solemnis and Haydn Die Schöpfung with Bernard Haitink and Bavarian Radio Symphony Orchestra on BR Klassik and lieder by Beethoven, Haydn and Mozart with Kristian Bezuidenhout for Harmonia Mundi. Other Harmonia Mundi recordings include Handel arias As Steals the Morn with the English Concert (BBC Music Magazine Vocal Award); Schubert cycles with Paul Lewis (Winterreise won the 2010 Gramophone magazine Vocal Award); Schumann Dichterliebe with Kristian Bezuidenhout (2011 Edison Klassiek Award) and Britten Serenade, Nocturne and Finzi Dies Natalis with the Britten Sinfonia (ECHO/Klassik 2013 award).